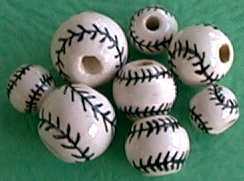 Ball Beads--now we are talking fun! There are so many wonderful things you can do with these, and kids and adults of all sports persuasions love them. Match them up with the animal (mascot) bead of your choice and you can make easy, but popular school neck cords, earrings, pins, key chains, zipper pulls, you name it! 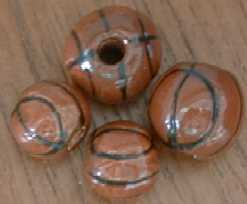 All Ball beads are the same price, regardless of size. 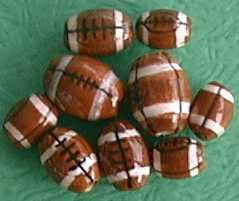 All ball beads are available for volume discounts. 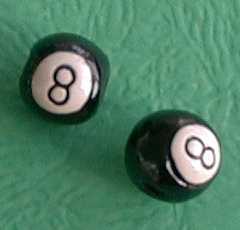 To order, simply put the type of ball and the size. 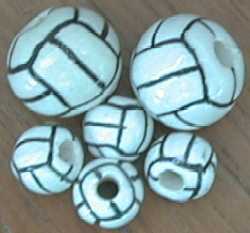 Large Soccer Ball Bead- 13mm. Medium Soccer Ball Bead- 10mm. 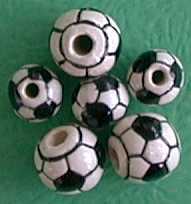 Small Soccer Ball Bead- 8mm. 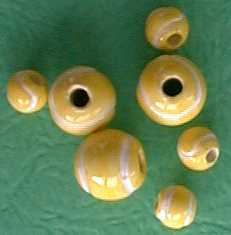 Large Tennis Ball Bead- 13mm. Small Tennis Ball Bead- 8mm. Large Golf Ball Bead- 13mm. Medium Goolf Ball Bead- 10mm. Small Golf Ball Bead- 8mm.